Jorginho has stirred up speculation that he could be on his way to Liverpool in the summer by ‘liking’ a fan’s post on Instagram. The Napoli midfielder has had a sensational season for his club in the Serie A this season, and has drawn interest from a number of Europe’s best clubs as a result. The Premier League seems to be his most likely destination if he does move though, with Liverpool and the Mancunian giants, United and City, showing firmness in their interest. 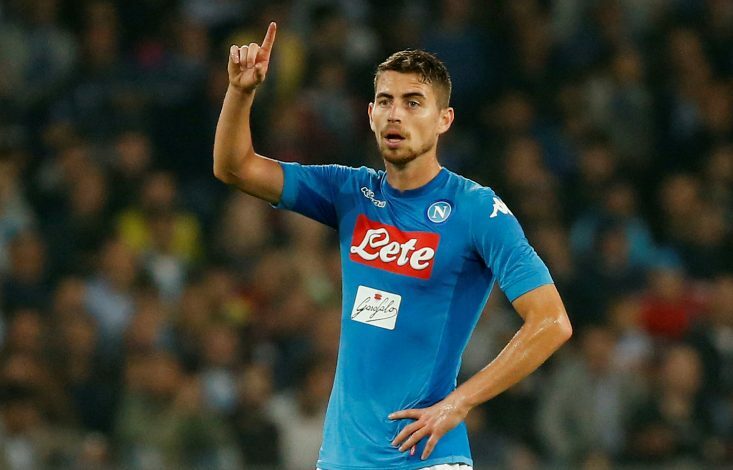 However, if Jorginho’s social media activity is anything to go by, he may have already hinted at his preferred destination once he leaves Naples. A number of eagle-eyed Liverpool supporters spotted that the 26-year-old had liked a post by a fan on Instagram, thereby linking him with a move to Anfield. Social media erupted when it had been discovered that Jorginho had liked the post, encouraging hopes that a move to Liverpool could be a very real possibility in the summer. However, the Reds will face competition from United and City, who are both keen to bring in reinforcements in their midfield positions.